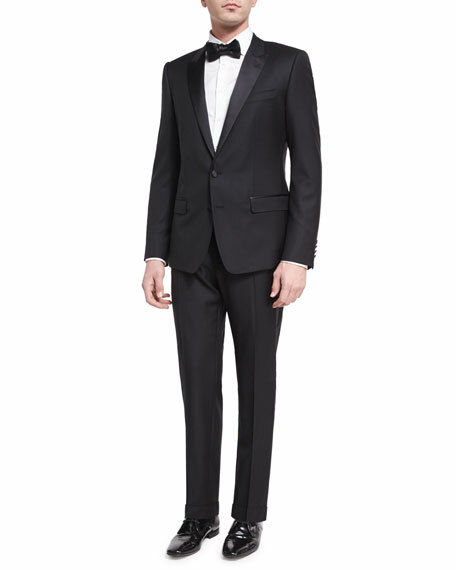 Dolce & Gabbana two-piece tuxedo suit. 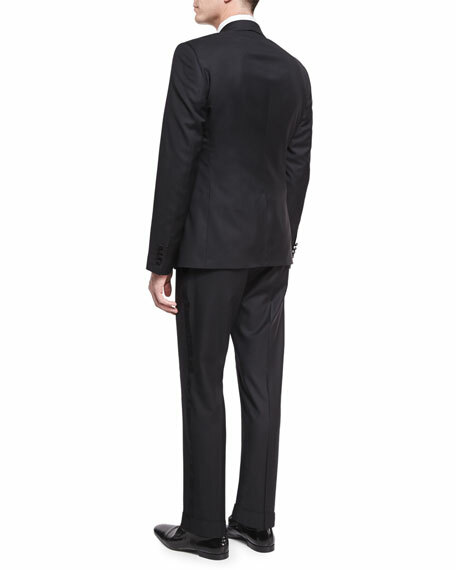 Martini fit: trim fit with low button stance for leaner, taller look. Satin peak lapel; satin-covered two-button front. Four kissing-button detail at cuffs. Front flap pockets with satin trim.